Happy day to you all! 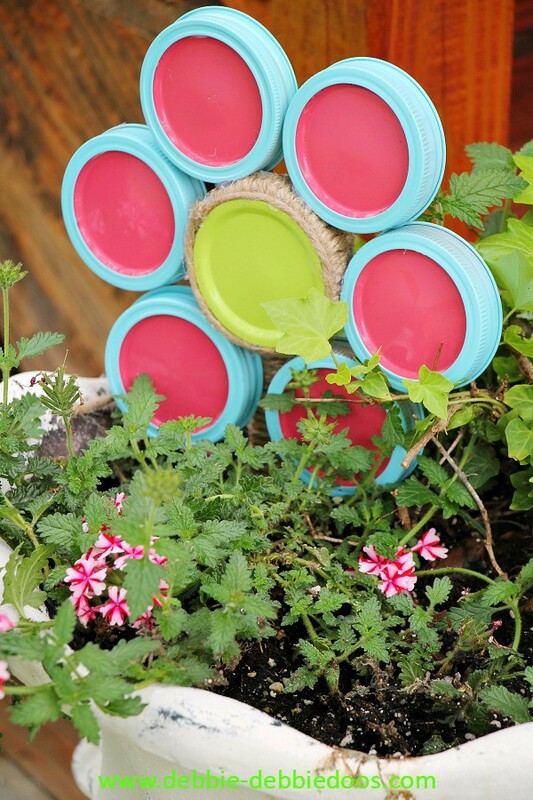 Today, I am sharing how to make a mason jar canning lid flower. I am going out on a limb here and declaring this an original Debbie doo’s special. I honestly have never seen one before. I have seen some clever things done with canning lids, but never a mason jar canning lid flower. Google for yourself and let me know if you come up with something similar. The idea hit me when I was taking the lids off and I had them on the counter. I looked down and it looked like a daisy to me. I thought to myself, hmmm..how can I make one. One idea led to the next, and this is how I did it. 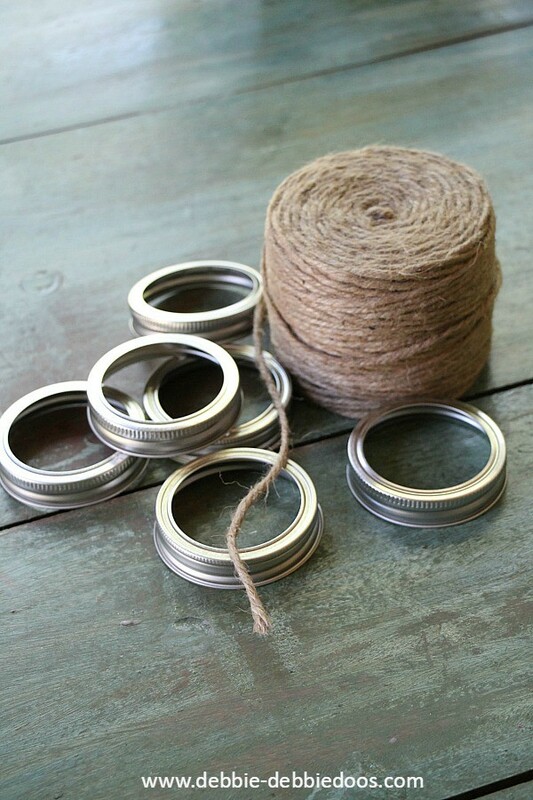 My first intent was to wrap twine on all the lid caps shown above. After one I realized I would probably be here all day. I am too much of an impatient person to do that. Plus, I love color, so out came my spray paint. 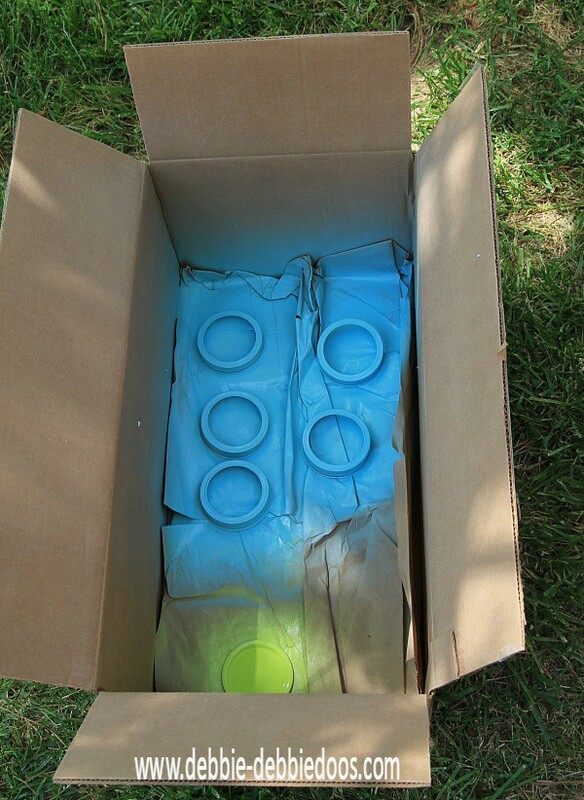 Did you know using a box to spray paint is so much easier? Sure avoids a bunch of over spray and mess. Especially for small projects like this. As you can see the one twine wrapped lid. I used that for the center. 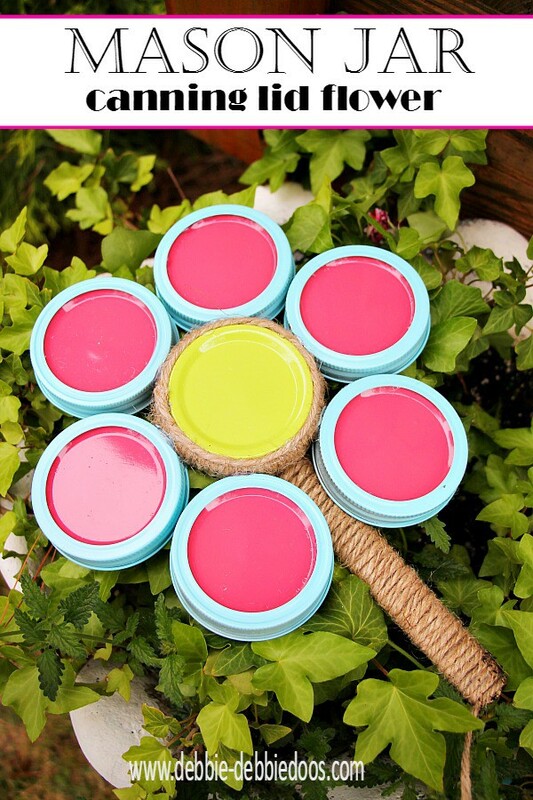 Once I had everything in place I hot glued the lids to the center, just as close as I could together to make the perfect flower illusion. 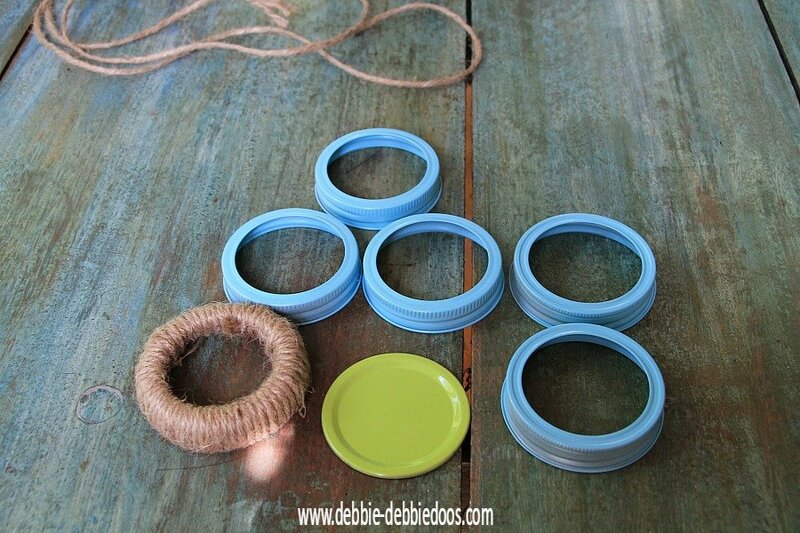 It was easy for the lids to stay in place because the center had the twine wrapped around. So it wasn’t too much of a waste of my time. 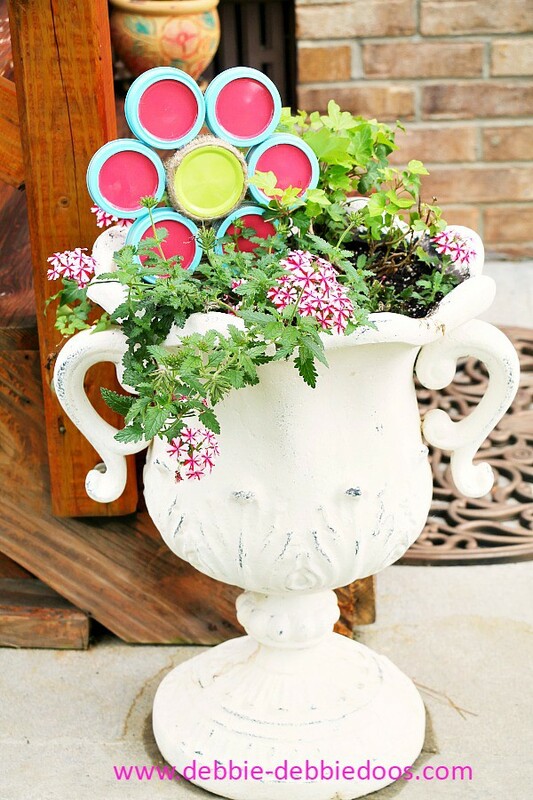 Love the color pop and whimsy it adds to the garden! 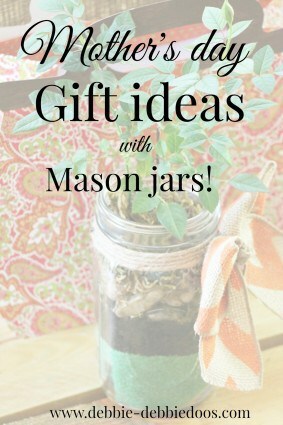 and Spring in a mason jar. Plenty more where that came from. 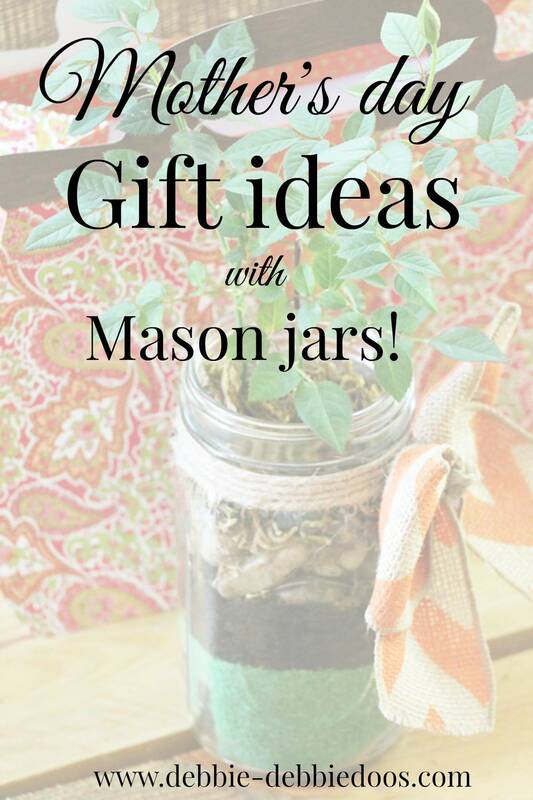 I share all things heart and home, recipes, easy crafts and more! Signing off for the weekend. The hubs is off and I plan on enjoying the Carolina sunshine with him this weekend. Love the flower but how did you get the center into to twine wrapped ring? I’ve tried 2 aand neither one worked. oh i love all your cute ideas and decorations that glass bowl pumpkin head is so cute love it and the mason jar lids u turned into a flower i just love that too very clever ideasi made a pumpkin out of a left over dry vent one year my hubby was about to toss it out and i said i can make a pumpkin out of that lol!! it came out really cute too! !